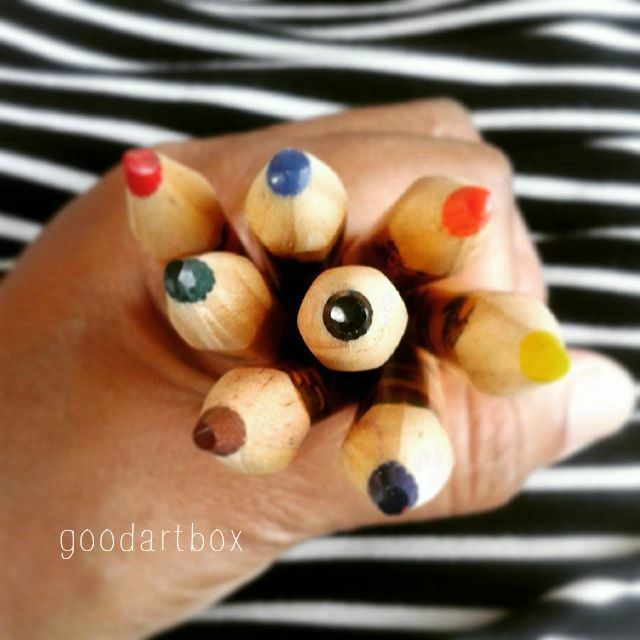 good artbox: What's that in your hand? What's that in your hand Moses? I said "what's that in your hand Moses?" Those two sentences (questions) come from a song that my aunt used to sing all the time. After singing the song, she would look at me and say "What's that in your hand Tonya?" Fast forward a few years later and I am sitting in church. The preacher says something like "God can use whatever you have in your hand. What's in your hand?" When he said those words, I was holding a red pen. I thought "What can God do with that?" Shortly after I heard that sermon, I started teaching PreK and creating all kinds of art for bulletin boards and day to day activities for my children in class. Sometimes, I would think back on that sermon and the red pen and say to myself "Wow, God used the red pen." That red pen symbolized using ink and paper to me. Fast forward a few more years and here I am blogging about all things that involve using your hands creatively with pen, paper and paint. What's in your hand dear reader? Whatever it is someone needs your gift to help lighten the heavy load of life. Become a subscriber to the Good Artbox! Be sure to confirm subscription.